“Our yields have gone up. You always have a fine line of raising ticket prices,” said Diane Moore, president of Paul Gauguin Cruises. Moore said the booking window was extending in North America, and while raising ticket prices, the one-ship company is going to market earlier than ever with future deployment. Ownership has its eyes on expansion, but no concrete plans. Operating year-round in French Polynesia, the line offers a niche product in the luxury sector aboard the 1998-built Paul Gauguin. The bread-and-butter cruise remains a week-long voyage visiting Tahiti and the Society Islands. Last year was a record one for the company, and 2018 was booking at a good pace, second only to 2017, Moore added. Forward bookings for 2019 are also encouraging, she noted. “Part of that is charters,” continued Moore. Fiji is also back on for 2019, with a 13-night cruise in September followed by a 12-night sailing. “Those two sailings are doing very well,” she said. Before that the company will be the first to visit “Little Tahiti” (Tahiti Iti) this year on a handful of sailings in 2018 and 2019. Next April, a 14-night Marquesas, Tuamotus and Society Islands voyage is offered. Deployment for 2020 is expected to be announced this spring, with the ship expected to venture to Singapore and back for a routine drydocking. Summer and holiday cruises see the ship add its Stewards of Nature program for younger guests, offering an interactive learning platform with naturalist-led excursions. Special guests are featured on an ongoing basis on each voyage, ranging from hypnotists to mentalists, musicians, historians, celebrity chefs, illusionists and more. Cruise fares continue to include air from Los Angeles, most spirits aboard and all gratuities. A varied shore excursion program is an added cost, but the company keeps most tours small, with groups of roughly 12 guests. Another piece of encouraging news: two more airlines are planning to add regular service from San Francisco to Tahiti later this year. The Southwest continues to be the strongest source market for the brand, said Moore. The company has battled back against a weak Canadian currency by offering Canadian pricing on specific sailings. Pacific Beachcomber owns the brand in addition to its main business, a group of hotel properties in French Polynesia totaling 678 rooms, which are often packaged into the cruise program. 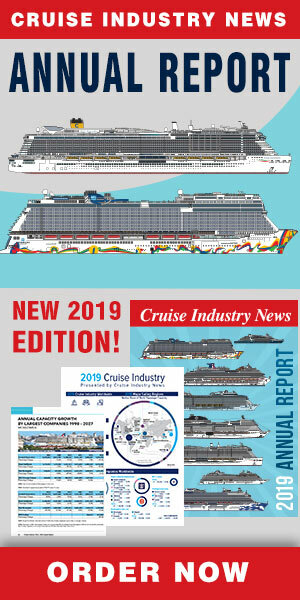 Go inside the luxury sector of the global cruise industry with the the 2018 Cruise Luxury Market Report which is now available from Cruise Industry News. The new report outlines the booming top-end of the cruise industry in a 60-page PDF detailing strategies of all the key luxury cruise brands, with capacity growth projections through 2027 and more key analysis. Click here to learn more and order the report.